What is Canvas Made Of? A Frequently Asked Textile Question! As a well-known natural cotton textile within the manufacturing community, the multifaceted use of cotton canvas and its counterparts is extremely common worldwide. Canvas made of cotton is a strong textile of choice that withstands tests of time and climate. What makes natural cotton and canvas so strong? It’s ability to hold up against other fabrics all dates back to its historical uses. 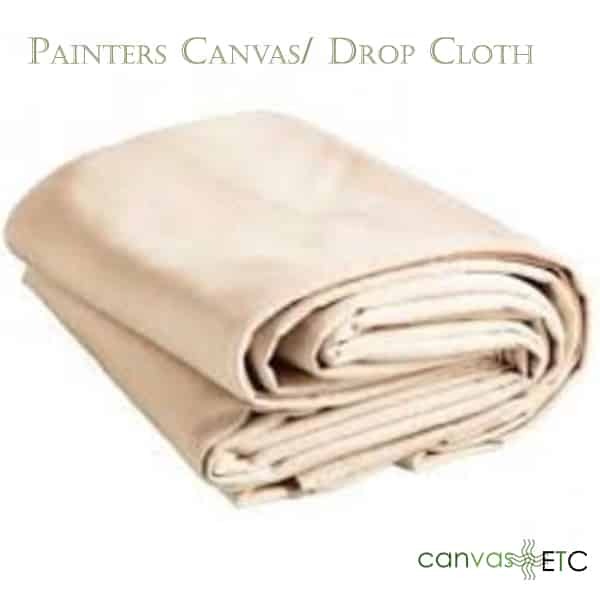 Canvas as a fabric first became possible from the hemp plant. Since the turn of the century, canvas made from cotton or synthetic materials like polyester or nylon is more common. Per wikipedia, “The word “canvas” is derived from the 13th century Anglo-French “canevaz” and the Old French “canevas.” Not only did the French have a hand in canvas fabric and its name, but the Dutch were also responsible for naming a style of canvas: duck canvas. The method of manufacture depends entirely depends upon the place of origin. 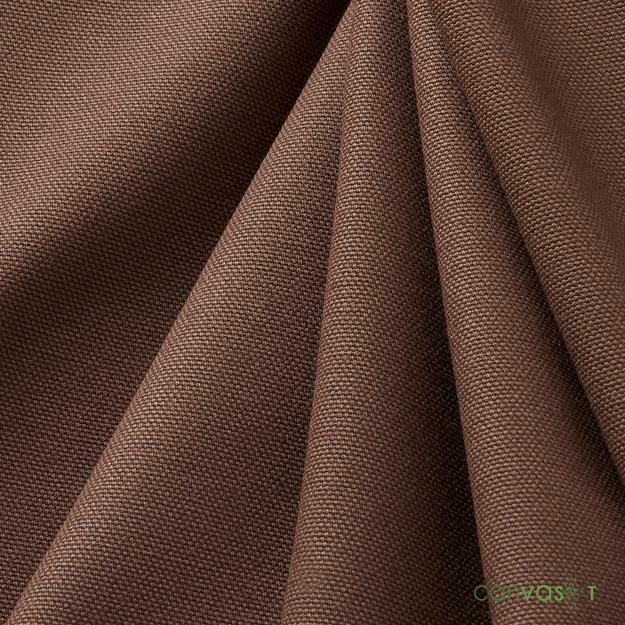 Canvas has a dynamic range of weave styles that bind and make the textile’s properties more durable. The plain weave pattern finds itself in many numbered duck cotton textiles. In a plain weave, one yarn travels in the warp direction while another yarn inserts in the fill direction (the weft). 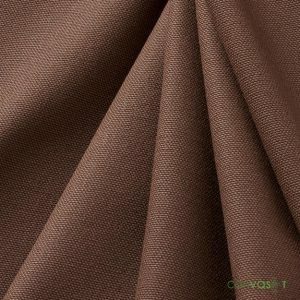 Plain weave canvas shows itself in fabrics like muslin, which is a wonderful fabric for various crafting projects and photographic backdrops. It can also be found in artist canvas. Additionally, there’s the basket weave style. This more durable weave, woven by two or more yarns travelling together in the warp direction, then takes two or more yarns together in the fill direction. 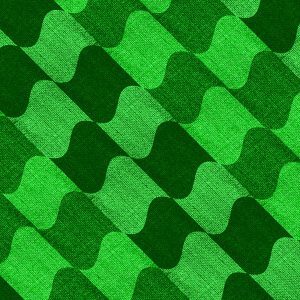 The basket weave shows up in textiles like ballistic nylon, which finds its use in various upholstery projects and tactical apparel. “Duck cloth”, defined by the Dutch, literally translates to canvas itself (“doek,” meaning canvas). As most styles of canvas base themselves from all-natural cotton, their versatility and sustainability that beats out fancier, synthetic fabrics. Whatever the task at hand, duck canvas finds its use in a variety of ways. Cotton duck has such an outstanding degree of versatility that it actually has its own classification system. This classification system, developed in 1924, met the need for highlighting different styles of cotton duck . The classification goes by type and number so as to help the consumer and end-user look for what they need more efficiently for their current and future projects. #12 – 11.5 oz/sq yd. #12 cotton duck canvas works well for bags, artist canvas, outdoor work-wear, apparel, murals, photographic backgrounds, stretched artist canvas, acrylic and oil-based paint, furniture slip covers, and even light clothes. 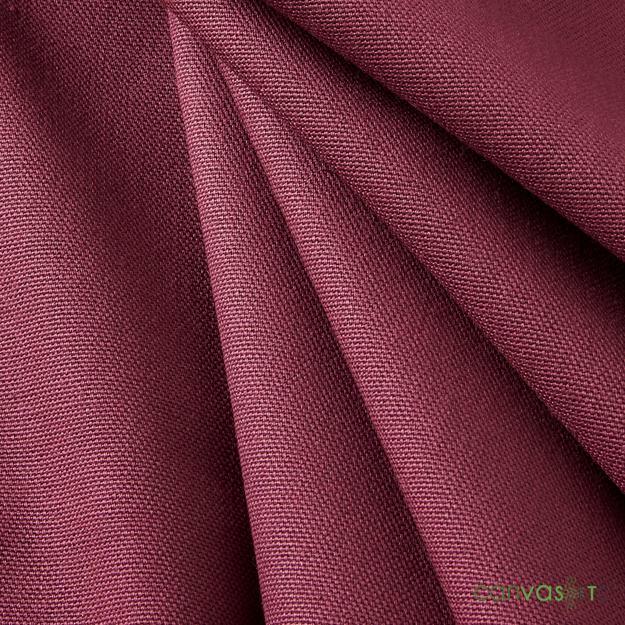 #10 – 14.75 oz/sq yd. #10 cotton duck finds use in canoes, kayaks, floor cloths, place mats, canvas feed buckets, pottery canvas, tool bags, tote bags, artist canvas, murals, painted floorcloths, work clothes, bags, hammocks, and shower curtains. #8 – 18 oz/sq yd. #8 cotton duck is great for couches, duffel bags, sand bags, archery targets, bedrolls, slings, tents, gun covers, filter bags, boxing ring mats, painted floorcloths, heavy bags, backpacks, heavy duty work clothes, director chairs, tents, tarps, and awnings. #6 – 21 oz/sq yd. #6 cotton duck canvas finds use in utility bags, place mats, tool bags, tote bags, tents, and belting. #4 – 24 oz/sq yd. #4 cotton duck lends itself to tool bags, horse saddle bags, coal totes, floor cloth applications, industrial strength bags, heavy duty work clothes, hammocks, sand bags, director chairs, place mats, and belting. #1 – 30 oz/sq yd. #1 cotton duck works well as saddle packs, floor cloths, sound absorption, equipment coverings, floor covering, wall covering, sound absorption, equipment covers, heavy bags, horse packs, and storage bins. Based on this classification system, selecting which canvas works best for your project takes the uncertainty from your choice. Therefore, this classification system also makes it cost effective to leave the guesswork out of your choice and enjoy whatever task you’ve set forth to do. Whatever the need, canvas fabric is a versatile choice that makes your project stand out against the competition. Canvas also works exceptionally well for making sails, banners, marquees, and so many other items requiring sturdiness, including painting surfaces for artists. Basically, for projects and products, canvas works best when you want high quality, low cost items. Therefore, look no further than Canvas ETC. for all your canvas needs. Whether you’re looking to start a new project or need bulk supplies of canvas at wholesale, we offer some of the finest canvas at an economical price. Now that you know what canvas is made of, try this amazing fabric in a project today! Our team is here to help you select the right fabric for your next endeavor. Contact us today at [email protected] or by phone – 404-514-7166 – to learn more about our many canvas fabric styles. “Canvas.” Wikipedia, Wikimedia Foundation, 19 Nov. 2018, en.wikipedia.org/wiki/Canvas. “Cotton Duck.” Wikipedia, Wikimedia Foundation, 14 May 2018, en.wikipedia.org/wiki/Cotton_duck. National Bureau of Standards, United States. National Directory of Commodity Specifications: Classified and Alphabetical Lists and Brief Descriptions of Existing Commodity Specifications. Washington: Gov. Print. Off., 1924.